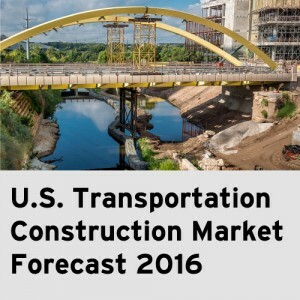 (WASHINGTON)—The likely passage of a five-year federal surface transportation bill, increased investment from state and local governments, and continued strengthening in the U.S. economy are the key factors driving an expected 4 percent growth in the 2016 U.S. transportation construction market, according to the American Road & Transportation Builders Association’s (ARTBA) chief economist. Dr. Alison Premo Black released her forecast during a Dec. 2 webinar for analysts, investors, transportation construction market executives, public officials and the news media. In 2016, the market will hit $208.3 billion, up from $200.5 billion in 2015, according to Black. The multi-year federal transportation bill will provide much-needed stability for the highway, bridge and transit markets after a decade of short-term extensions. The modest increase in federal highway and bridge investment in 2016 will help the program keep pace with changes in inflation, materials and project costs. Federal funding accounts for an average of 52 percent of state department of transportation capital outlays for highway and bridge improvements. The highway and bridge construction market is expected to be uneven across the country, with programs growing in 23 states and Washington, D.C., and remaining flat in nine states. A number of states have increased their own funding in the last few years, including 15 that have raised their own gas taxes for transportation investment since 2013. Overall, states approved 30 legislative measures in 2015 to increase investment, while voters approved 68 percent of the ballot measures for transportation funding. 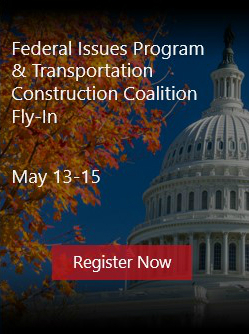 Outside of construction, state and local governments are expected to spend an additional $42 billion for maintenance work; $14.8 billion for in-house and consultant planning and design services; and $7.8 billion for right-of-way purchases as part of their highway and bridge programs. The highway, private driveways and parking lot construction market will increase 4.2 percent to $71.4 billion. This includes $58.1 billion in public and private investment in highways, roads and streets, and $13.2 billion in largely private investments in parking lots, driveways and related structures. Real growth in highway, road and street construction in 2016 is moving in the right direction, but is still years away from a full recovery, absent a major increase in investment at all levels of government. The real value of construction work fell over 23 percent between 2009 and 2013, declining from $66.3 billion in 2009 to $50.8 billion in 2013. The total value of work forecast for 2016 is $58.1 billion. Contractors will have an additional $45.7 billion in business opportunities from private highway and bridge work that is completed as part of housing developments and larger commercial structures, separate from parking lots and driveways. This is up from an estimated $42.6 billion in private work in 2015. The bright spot, as it has been in recent years, is the bridge and tunnel construction market, which is expected to remain strong, increasing from $33.3 billion in 2015 to $34.6 billion in 2016. State and local governments continue to invest significant resources in these projects, with the share of bridge and tunnel work growing from 18 percent of all highway and bridge work in 1998 to over 37 percent in 2015. The share of bridge work is expected to remain at these high levels over the next five years. ARTBA is forecasting that light rail, subway and railroad construction will be down slightly in 2016 to $21.1 billion in work, compared to $21.3 billion in 2015. Heavy rail investment by Class 1 freight railroads will increase from $13.5 billion to $13.6 billion. Subway and light rail work is forecasted to decline slightly from $7.8 billion to $7.6 billion. This decline is in part attributable to uncertainty over the federal surface transportation program. Although a number of ongoing projects have supported record-levels of transit construction work, contract awards in the past year have declined, indicating fewer plans in the pipeline. The market is expected to resume growth of close to 3 percent in 2017 as the U.S. economy continues to grow and federal investment levels are stable. The total value of airport runway and terminal construction will grow from $12.9 billion in 2015 to $14.3 billion in 2016. Investment in runways is expected to grow from $5.8 billion in 2015 to $6 billion in 2016, and terminal construction will grow from $5 billion to $5.9 billion. Terminal work over the next five years is forecast to reach $8 billion, the same investment levels before the market downturn that started after 2009. The Administration and airport construction program continue to temper future growth. The ports and waterway construction market will remain flat at $2.3 billion in 2016, with modest growth resuming in 2017 and beyond. Construction of water terminals will be steady, with a slight uptick in activity for waterway dock and pier construction. The full 2016 forecast is available for purchase at the ARTBA store for $150.